A Plus Market loves it’s locals; local plus size designers, local makers and local artisans. Bhunny=Designs is a local jeweller, just starting out, who will be sharing her handmade creations with us this Saturday. Each piece is uniquely hand crafted. The designs are funky, abstract and modern. They are great with any look, whether for that all important board meeting or shopping on Chapel Street, taking a stroll down the Yarra, or all glammed up and ready to the paint the town red. Bhavani the creative behind Bhunny=designs says she finally embraced her creativity after years in the corporate rat race. “I never believed I was creative until I started ‘playing’ with the versatile nature of Polymer Clay and was excited with its endless possibilities. 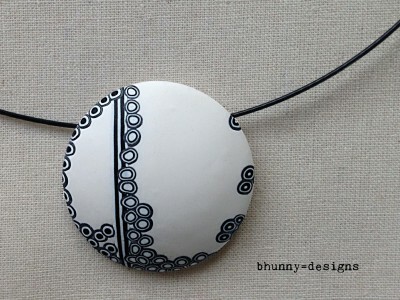 Bhunny=Designs have a great range of necklaces, earrings and rings at a bargain price. Bhunny=Designs will be available at this Saturday’s A Plus Market – Saturday August 30.
and can also be found online at www.etsy.com/shop/bhunnydesigns or on www.facebook.com/bhunnydesigns. Support your local designers, and top your new look off with the perfect unique statement piece.